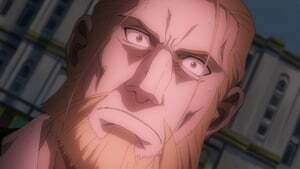 Hohenheim and the others stop Father from making Philosopher’s stones, but as Ed rejoins them, Father spawns humans resembling the people of Xerxes before attacking with a powerful blast which takes out half the headquarters. They barely manage to survive the blast, but Al and Hohenheim take some heavy damage protecting the others. Before Father can kill Ed and Izumi, the Briggs soldiers, along with several of Ed’s allies, join up to attack Father and use up his stone supply. 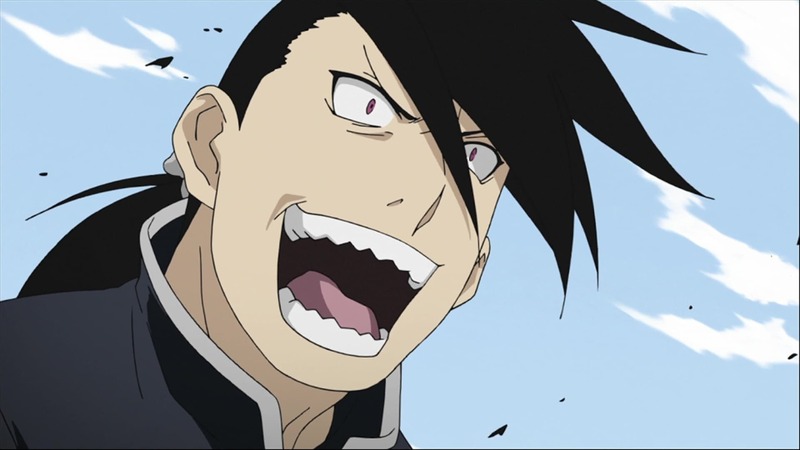 Father lets down his barrier temporarily to try and absorb Greed’s stone, giving Ed, Alex and Izumi the opportunity to damage him to the point of defending himself manually. As Father starts to lose control, he creates a blast which traps Ed’s arm whilst his automail arm is destroyed. With Ed in danger, Al convinces May to help him perform a transmutation, trading his soul for the return of Ed’s right arm. Al rejoins with his body on the other side and with his arm returned, Ed frees himself to unleash a series of blows on Father.